Jan Brownell and her mother, Shirlee Brownell have a great sense of humor and immense work ethic. Jan is Shirlee's full-time caregiver and a freelance web and graphic designer. Shirlee often refers to her as "mother." Now, one may ask, "Why is that?" Well, as Jan puts it into words, "The tables have turned." I remember reflecting on this notion. Its true, there comes to a point in life, when you realized that the person you once relied on is now relying heavily on your support. This is the case with Jan and Shirlee. The Brownell Family, is a family of talented artists, well known in Hartsdale and Westchester County arts community. Shirlee is known as a portrait artist but she explored other mediums throughout her career as well. In her old age, she continues to paint and make jewelry. This is all made possible by the ongoing support of Jan and Ken (Jan's husband and caregiving partner). The flow of art in their daily lives reminds me of my family and their relationship with music. Despite their hectic life surrounded by doctor appointments, consultations and visitations, they are able to set aside time to immerse themselves in art. Be it painting, drawing, photography, doll making, jewelry or sewing. They don't shy away from getting their hands dirty. It seems more relaxing or therapeutic over anything else. As Shirlee ages, Jan motivates her to move away from portrait painting, and dive into exploring abstract or impressionist style painting. Rather than allowing her to give up, Jan helps her find new and exciting ways to approach things. Jan continues to critique her work, which helps Shirlee immensely throughout the adaptation process. It is easier for her to complete abstract work because of her arthritis on her joints which does not allow her to be as precise with her realistic paintings, Nevertheless, it is still equally rewarding. Jan keeps a couple of small pocket size albums of Shirlee's past artwork nearby her vicinity at all times. So when Shirlee converses with other people she can easily show her work. A big take that I have taken from Shirlee and Jan is that no matter what happens in life, you have to keep moving forward and be ready for the next step. Rett Syndrome is estimated to affect 1 in 10,000 female babies, across all racial and ethnic groups worldwide. In reality, babies appear to develop normally for the first 6 to 18 months of their lives, learning to walk, talk and interact. In most occasions, parents only become aware to a problem during the period when their child's skills begin to regress and/or stop developing all together. I learned about Rett Syndrome through meeting Theresa, Lisa and John. Theresa and Lisa are wonderful, loving parents who have committed their lives to raising Lisa in their home. Their role as parents extend to primary caregivers and guardians. Through my interactions with them and their extended family, I became acquainted and educated. Theresa mentioned that at first, the symptoms appear to be very similar to autism, which is what Lisa was initially diagnosed to have. It was not until years later, when they were finally diagnosed with Rett Syndrome. I say they, because, they are all affected as a family. Many of us out there, may not know of this rare disorder and I felt determined to share it with everyone. Nevertheless, through Theresa and John, I quickly understood what it takes to care for a child with Rett Syndrome. Many families out there are just like The Bartolotta(s), who continue to strive daily and take on things one step at a time. Lets go back to the basics. Many of you may ask, what is Rett Syndrome? 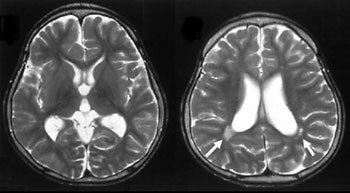 Rett Syndrome is a disorder that affects development and brain function. Now, the syndrome mainly effects females, but there are rare occasions when males are effected. There is no cure (as yet) for Rett Syndrome and at present, the research for cure continues. However, there are ways to improve a child's symptoms through treatment. The treatments vary on how severe the syndrome is in the child. Again, Rett Syndrome is a very rare syndrome, but as we all know, there is always a probability, just like anything in life. Birthrate is increasing faster than ever, and I truly believe that this is something that a parent, soon-to-be-parents, or any planning parents should care to learn about. For more information, please check out RettSyndrome.org and RSRT.org. Theresa, also wrote about her (and John's) experience in an article she wrote for NY Times Parenting Blog / Motherlode: "A Disabled Child, and an Always Uncertain Future." CARE JOURNAL is the official blog for Minding Our Own. This would be a way we communicate with you on all things caregiving related. We aim to release short clips, interviews, and other tips relating to the film through this blog. Don't forget to add us on Facebook (https://www.facebook.com/mindingourown) as well to stay in tune with special announcements, shared posts and public comments, latest news, and most importantly, our monthly calendar breakdowns. This is a great way to connect with other individuals and groups that are interested in caregiving.